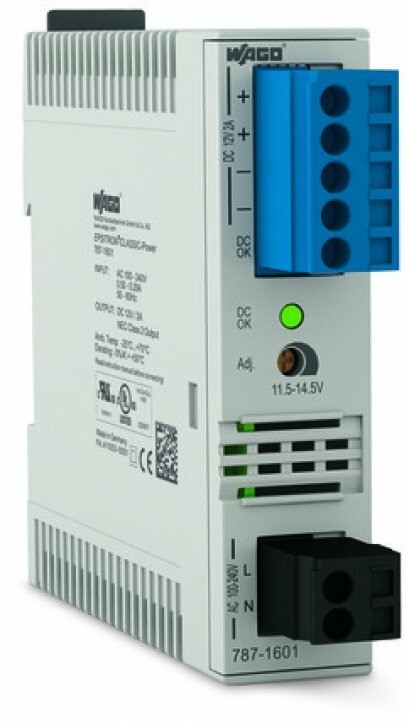 In many applications, only 24VDC is required, without additional functions. Here, the ECO power supplies are an economical alternative. 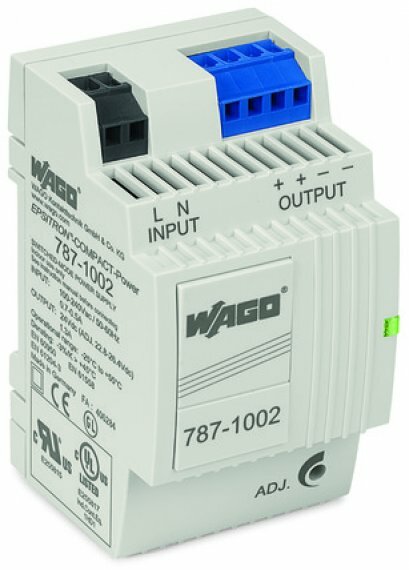 Packaged in a flat and solid metal housing, output currents of 2.5A, 5A or 10A are provided. ECO Power Supplies lower project and operating costs with advanced features including: LED status indication, front-panel adjustable output voltage, efficiency levels up to 82% and maintenance-free CAGE CLAMP® terminations. CAGE CLAMP® Spring Pressure Connection Technology provides fast, vibration-free and maintenance-free termination of solid, fine-stranded or ferruled conductors. The ECO Power Supplies have a flat and very robust metal housing. DIN-rail mounting is quick and reliable via easily accessible on-unit plates. All ECO Power Supplies indicate output voltage availability via green LED. A red LED indicates an overvoltage. 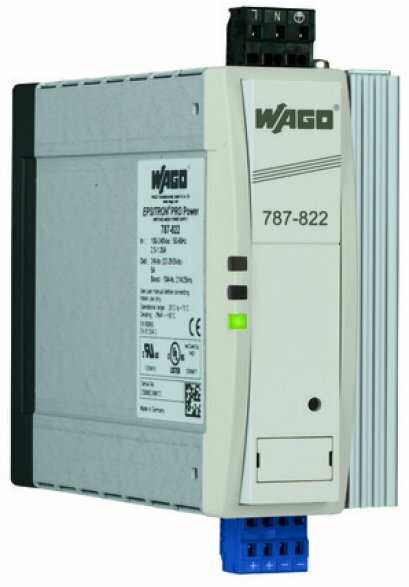 This simplifies start-up and rapidly provides maintenance personnel with system or machine status. Loads frequently have an increased need for current when switched on. The ECO Power Supplies with constant current characteristics deliver 1.1 times the nominal rated current with lowered output voltage. This makes them ideal for starting capacitive loads, for example. For low-ohm short circuits, the output voltage is reduced to zero and automatically reinstated once the short-circuit has been eliminated. 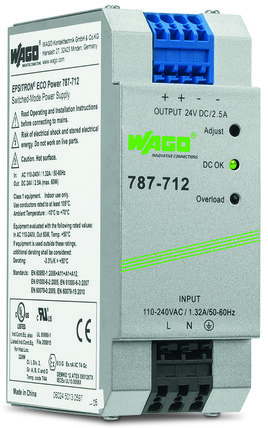 ECO Power Supplies provide a wide input voltage range of 90 to 264VAC. This permits a mass-produced machine to be operated on different power networks in Europe, America or Asia without additional conversion or adjustment. This feature increases tolerance of voltage fluctuations within a supply network, increasing reliability.